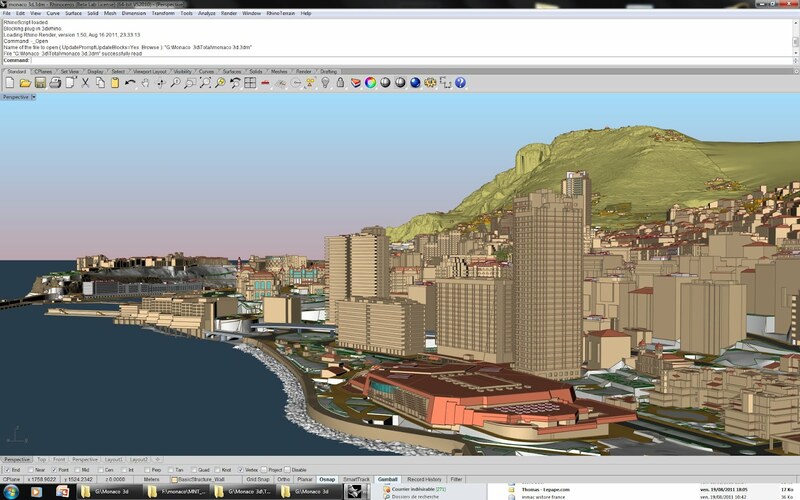 At the recent Imagina trade show in Monaco, Claude Vuattoux (RhinoTerrain SARL CEO) had a big success presenting the new version of RhinoTerrain and the upcoming RhinoCity plug-in. 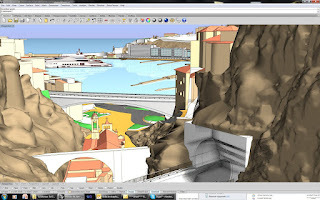 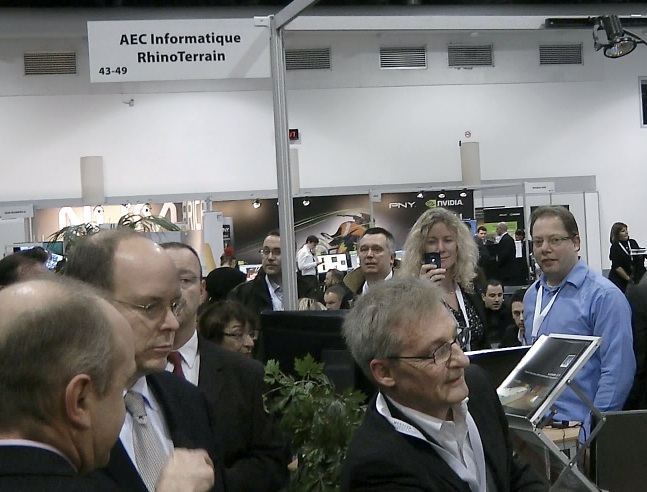 As the City of Monaco is one of the biggest customers of RhinoTerrain/RhinoCity, even Albert II, Prince of Monaco, was interested in learning more about the product. 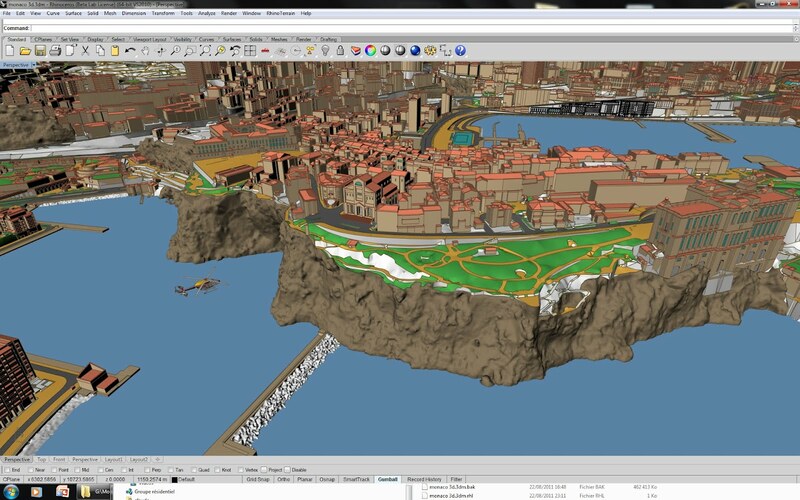 RhinoCity will be released shortly after Rhino 5. 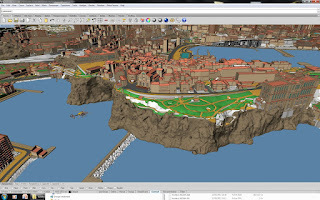 It provides a set of tools for automatic texturing and creation of virtual cities from photogrammetry data (ESRI geodata, CityGML import/export...). It manages global geographical coordinate system (EPSG code). Automatic facades and roof buildings texturing is achieved with the use of vertical or oblique flight imagery and its aerotriangulation (Vexcel, Intergraph DMC, CityGml).